Mitsubishi Electric Corporation announced in December 2008 it has received an order to build the ST-2 communications satellite for a joint venture between Singapore Telecommunications Limited (SingTel) and Taiwan's Chunghwa Telecom Company Limited (Chunghwa). 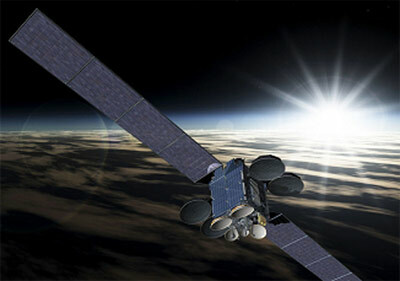 Currently, SingTel and Chunghwa jointly own the ST-1 and use this satellite in their various communications businesses. The ST-2 will succeed the ST-1 as their next communications satellite. This order will make Mitsubishi Electric the first Japanese satellite manufacturer to enter the commercial communications satellite market outside Japan, using its original Japan-made satellite bus platform. For the production of the ST-2, Mitsubishi Electric has proposed to use its original DS-2000 satellite bus platform, which was developed based on the ETS-8 made for NASDA. As a result, Mitsubishi Electric has won the contract for the ST-2, having been highly recognized for its delivery schedule, contractual methodology and other aspects. The ST-2 will be Mitsubishi Electric's first order for a commercial satellite using DS-2000 received from outside Japan.